You guys all know that when it comes to jewelry I like pieces that people can see from miles away, with an edgy-yet-pretty feel. Poshlocket is a small jewelry company based in New York and they have all kinds of styles, from dainty and ladylike, to big statement brights, to hefty metal wardrobe staples. They even offer free shipping and returns on all their orders (US only). Today they're so kind to sponsor a giveaway for $25 store credit for their jewelry! At first glance a lot of their pieces remind me of what I see on Jewelmint, but their average prices are $18-24. They do range up to $50 for certain pieces, so it all depends on the individual product. Each piece is named after girl's name, and there is a necklace with my name too. When I received the Celeste Silver Roped Bracelet, I was pleasantly surprised by the quality of the material and how beautiful it looked in person. See how I styled it in this outfit post. Now onto a quick review of the Celeste Silver Roped Bracelet: it came in a pink scallop edged soft felt bag - I just adore the cute packaging. The bag smelled strongly of cinnamon as well. The bracelet itself is a sturdy piece with good weight to it. It fits just loosely enough on my wrist so that I can slip it on without undoing the tiny clasp (worried that it'll snap) and tight enough that it doesn't slip right off randomly. I look forward to styling this with many more outfits, since one of my more concrete resolutions this year is to accessorize more on a daily basis. This giveaway is for United States only (sorry international friends - there will be more giveaways for you soon). Please ask parental permission if under 16. The winner randomly chosen using Random.org. Giveaway ends at 1/26/2012 at 12:01 EST. The winner will be drawn and contacted by email. If there is no response within 48 hours a new winner will be selected. 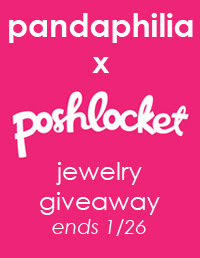 If you're interested, sign up for Poshlocket's mailing list for exclusive discounts/store credit. 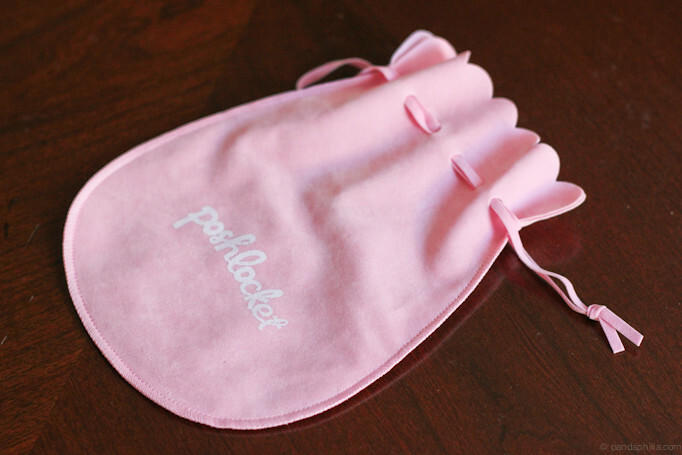 $25 store credit will be provided by Poshlocket. I am not otherwise affiliated with the company. Image credit: Poshlocket. Compilations by me. would love to enter!!!!! congrats on the sponsorship and thank you for the giveaway! Really loving the Carol Pearl Tassel Long Necklace :) It's really elegant. Their prices are great! I'd love to enter. The bracelet is AMAZING btw love your blog <3! I love the Jody Cap Nut Ring!! Beautiful. I did everything your requested. Love polyvore!! So many great sets you can make. oooh pretty polyvore post! I probably won't join this giveaway, but thank you for holding it! I love their packaging. The small pouch is soo cute! ohh the bracelet is really pretty!! The bracelet you got is really pretty! It looks very sturdy too. I really love the celeste bracelet you featured! I thought my favorite was the Jane Stone Heart earrings, but you won me over! I like the Celeste Silver Rope Bracelet! Pandaphilia sent me.